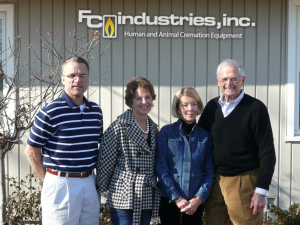 With 46 years of experience, FC Industries is a leader in the installation and maintenance of crematory equipment. We offer a full range of equipment capacities for animal cremations and have installed over 500 units. We are the only distributor of cremation equipment in the United States that operates the same equipment they sell.Â Pet Cremation Services has been serving pet owners in the Kansas City area for nearly 19 years. 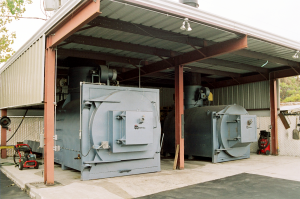 On-site visits to our facility provide the opportunity to witness the operation of 8 different crematory units and to gain an appreciation for our ability to assist with planning a successful cremation business. Each of our installations is conducted by factory-trained personnel and all on-going maintenance needs are fulfilled by our knowledgeable and friendly staff. 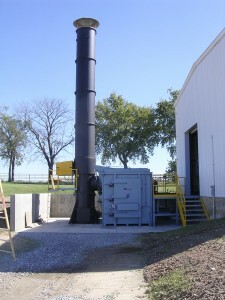 Crematories are essential for the following types of facilities.Â We offer excellent solutions for each one. Would you like to test the crematory before you purchase? Do you want to witness a pet cremation business in operation? FC Industries, conveniently located in Kansas City, Missouri invites you to visit our facility. Here you will have the opportunity to observe eight different models of Therm-Tec and Shenandoah/Firelake equipment in operation. Many of our prospects and customers have flown into Kansas City International airport in the morning, visited our facility and returned home the same day. Please call us to schedule your visit – (800) 345-0847.